Regular maintenance is vital to keeping your Marine Communication Antenna System on the air. 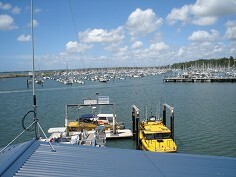 The Autumn and Spring months are a great time to perform maintenance on your Marine Communication Antenna System. Check earthing: It is not only designed to help in the likely event of lightning strikes, it is also effective at reducing the static build-up often associated with noise or interference in communications equipment. By earthing out the both top and bottom of the feeder run, you can help reduce the overall noise and get clearer communications. Check the Sealing of Connectors: Over time amalgamation rubber and PVC degrade. UV light slowly breaks down the protective layers and salt air will penetrate into the connection and cause corrosion. To minimise this, re-sealing connections at regular intervals is vital. It is also important to look for damage caused by birds and other wildlife. Cockatoos are notorious for stripping cables bare. The most effective solution is to feed vulnerable sections of cable through stainless steel bird-proof braid, which will provide the ultimate protection against all such bird damage. The braid ends can be secured with stainless steel hose clamps or stainless steel cable ties. Bird-proof braid is highly flexible and will survive long term in the harshest of marine environments. Remove old antennas and steel work: Old antennas, steel work and feeder cables are the major cause of interference on communications sites around Australia. By removing old antennas and the related accessories you can free up space as well as help improve your coverage by reducing the likelihood of interference being generated. Replace/upgrade antennas and feeders: Because communications are mission critical to marine rescue organisations, it is important to have the best. Having an antenna designed specifically for Marine Base Station applications installed by qualified technicians can help ensure your communications are always performing to the level you require. 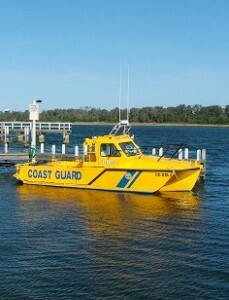 In an emergency you do not want to be worrying about whether you can actually get in contact with your rescue craft. ZCG can happily assist you with all 5 steps and offer a complete range of base station and marine mobile antennas specifically designed for marine communications. We also supply coaxial cable, connectors, earthing Kits and lightning power surge protectors. Our technicians are fully qualified and equipped for Antenna Rigging, Tuning and Performance Testing services. 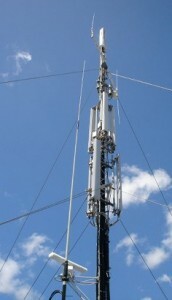 By performing our 5 Tech Tips regularly you can ensure your communication antennas won’t let you down. Just as important as the antenna, the type of feeder cable can make a huge difference to how far your communications reach and efficiency. Most standard marine deck mount antennas are shipped with 5 metres of RG58 cable, which in short runs is perfectly acceptable. However, for Base Station applications, ZCG will always recommend using a quality low loss feeder cable like RU400. For cable runs over 30 metres, we would recommend that ZCG1250 1/2″ Flexible Foam Dielectric be used to reduce signal loss to a minimum over the distance. Stainless Steel Cable Ties are just perfect for securing antenna feeder cable in the harsh Marine environment. Resistant to corrosion, salt, acids, chemicals, radiation, extreme temperatures and all weather conditions. Ideal for use indoors, outdoors or underground. Install with full confidence that the Grade 316 Stainless Steel will maintain integrity over many decades. Tensioner Tool available to fit stainless steel cable ties quickly at the proper tension and neatly cut off the tail. ZCG offer a complete range of Marine Antennas suitable for mounting to any vessel. The range includes antennas for HF, 27 MHz, VHF, UHF, Mobile Phone, AM/FM Radio and the all new AIS (Automatic Identification System). 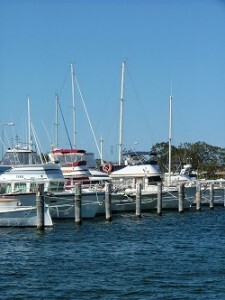 Every ZCG marine antenna is proudly designed and manufactured in Australia. Constructed from the finest quality components and most robost materials we know will last. Carefully assembled by hand, not a machine. Properly silver soldered so the dipole internals will not deteriorate over time, unlike soft solder joints. Tested individually in the factory to ensure optimum tune and performance.